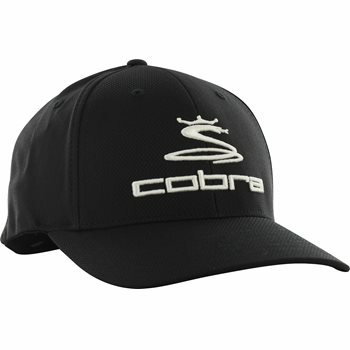 Your Cobra Pro Tour Stretch Fit cap can be worn to keep the sun out of your eyes, to keep your head warm in cool weather, or to add style to your outfit. Whatever your case, you will enjoy a comfortable fit with FlexFit stretch fabric. Additional design details include a pre curved bill to protect your eyes from the sun and a moisture wicking performance sweatband to keep sweat away from the head.